Butcher Box Subscription – Pasture-raised meat delivered to your door! 100% grass-fed and grass finished, antibiotic and hormone-free, and NEVER raised on a factory farm. Get $10 off your first order + free bacon. Grab a box here. Thrive Market Membership – Access to organic groceries at a discount! New members get 25% off your first order, plus a 30-day trial and + free shipping for a limited time when you sign up here. Perfect Supplements – All of my favorite supplements in one place. This company is the only company that I have found who carries all of our favorites, at the lowest prices around! Use code “RNL15” at checkout to save an extra 15% sitewide. Available here. Young Living Starter Set – I love Young Living Essential Oils. They have elevated my families wellness and helped so much with my EBV. I use them daily. The Premium Starter Kit is an incredible deal! Get yours here. 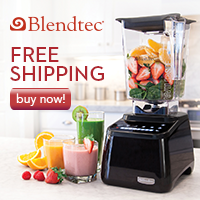 Vitamix Blender – I use my Vitamix Blender every day for green smoothies and bulletproof mochas! I have this one because it fits on my counter top and under the cabinets with no issue. Available here. GreenPan Cookware – Safer non-stick pans great for cooking stuff that sticks all the time. Available here. Instant Pot– Because who has the time?! Available here. Defender Shield Headphones – Go hands-free and reduce exposure to EMFs! Available here. Non-toxic Yoga Mat – If you are doing yoga, then you know it involves a lot of deep breathing. Do not breathe in toxic fumes from traditional yoga mats, buy a non-toxic yoga mat for a totally zen experience. Available here. Pitangafit Active Wear – Premium eco-friendly active wear for fitness or everyday life at great prices. These are the cutest most comfortable yoga pants I’ve worn. 10% off with discount code “YVA10”Available here. Belly Armor Belly Blanket – Shield your baby from radiation exposure! I plan to use this when I’m pregnant with baby #2 and feel better when I lay my baby down with it. Available here. Green Toys – Makes safe, eco-friendly toys from recycled material right here in the US. Priced similar to toxic brands you’d find at your local toy chain. Available here. Beautycounter Diaper Bag – With safe baby products. These are the only products I used on my baby. After the baby was a couple months old this became the best computer bag ever. Get the set here. Beautycounter – My go-to brand for safe skin care and their holiday collections are so beautiful! Available here. 100PercentPure Nail Polish – Safe, long-lasting polish. This is also the makeup brand I would use if I had a teen. It’s inexpensive and safe. I don’t find the performance (outside of nail polish) as high as Beautycounter, but it’s such a great option! Available here. Home Microdermabrasion – This has been my safe, natural go-to for graceful aging and getting my hyper-pigmentation under control. My clients love it for acne as well. Available here. MEDICAL DISCLAIMER: This content is not intended to diagnose or treat any disease, or as a substitute for medical advice. Please consult with your advising physician before starting any treatment for a medical condition. Real Nutritious Living, LLC shall not be held liable or responsible for any misunderstanding or misuse of the information contained on this site or for any loss, damage, or injury caused or alleged to be caused directly or indirectly by any treatment, action, or application of any food or food source discussed on this site. 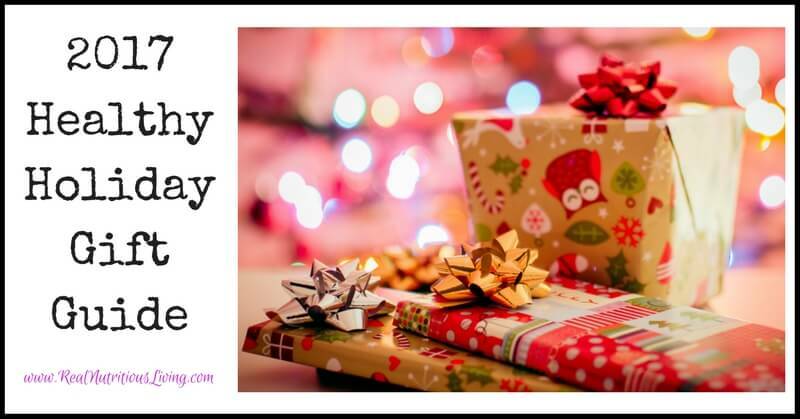 What a great roundup of useful gifts, especially the Vitamix blender, I can’t think of a better gift! I love all of your suggestions…like filling up my own stocking to look at all the ideas and companies I love. Thank you for putting this together! Thanks Megan! I hope you get everything on your wishlist! The Thrive membership is SUCh a great idea – never thought of that! I would gladly take that! I know, right!?! Please and thank you! So many great ideas! I love the idea of that baby blanket- so smart! Such a fun list! Love the Instant Pot on there and all of the ones listed at the top, love those companies! Thanks Emily! I am dying for that instant pot! Such a great gift guide! I definitely want a Vitamix and will be putting that on my wish list. I hope you get one Jean! I would be so lost without mine! Great ideas, Melissa! I love everything you came up with. Happy holidays!!! Happy Holidays Carrie! Thank you! Instant pot is SUCH a great gift! I got it as a present from my uncle and I love it! YES! I’ve researched so many and hope I get this one! 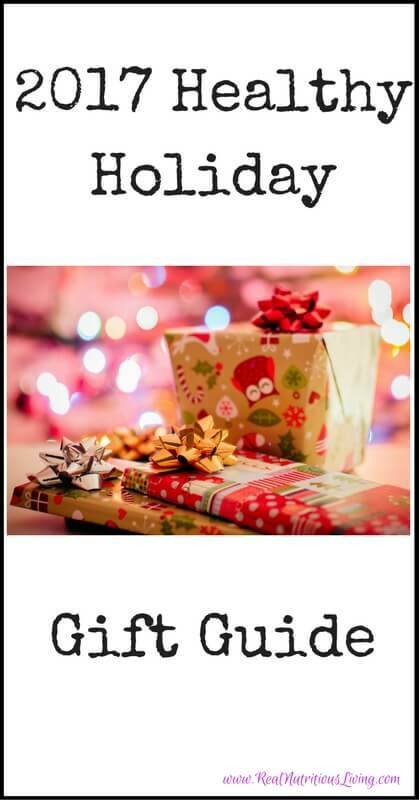 Great gift guide and I LOVE how you organized it! Love this holiday gift guide. We haven’t done shopping yet so this guide will be super helpful. Thank you ! Thank you so much! I appreciate the kind words. Oh we haven’t shopped either and really need to get on it! This looks like my personal wish list. LOve it! It’s like we’re long lost bff’s! Great LIST! I love and would be happy to get any of the gifts on this list! So many goodies anyone would be lucky to have! I hope you get at least one on the list! Oooh I want one of those yoga mats! Great guide!